There are now more mobile phones in use in the United States than there are people. According to a June 2011 report by CTIA, an international association for the wireless telecommunications industry, the cell phone penetration rate in the U.S. is 103.9%. More than 300 million Americans use cell phones and 46% of them have smartphones, according to a February 2012 Pew Internet report. Before the end of the year, smartphones are predicted to capture the majority of the U.S. communications market. One way to ensure you’re reaching your (mobile) customers is to start using Google Mobile Ads to promote your business. Google gives its mobile ads priority placement in search results shown on mobile devices. 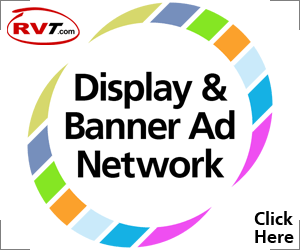 If you enable for the Google Display Network, the mobile ads will also appear on websites with content relevant to your dealership, and in apps, expanding your customer reach and your opportunity to build your brand, increase leads, conversions, and sales. Google Mobile Ads can help keep your RV dealership in front of RV consumers throughout the whole sales process, anywhere they are. Mobile searches have quadrupled over the past year. If you are already using Google AdWords you can immediately access mobile markets by clicking on the mobile services you wish to add from your AdWords account. You may need to spend a little extra to set up these campaigns, but typically you will pay less per click, because there is far less competition (for now) in the mobile arena. 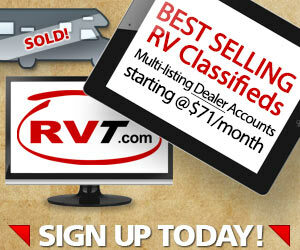 Before going mobile, you’ll also want to consider creating a mobile-friendly version of your RV dealership website. Running separate mobile and desktop marketing campaigns is also highly recommended. According to Google, mobile-only ad campaigns result in an average 11.5% increase in mobile click-throughs compared to combined campaigns. For mobile campaigns, you will want to tweak your AdWords keywords list to target mobile users. While the analytics you’re using to track AdWords campaigns will also track some mobile metrics, you’ll want to look into Google’s Mobile Planet for a more comprehensive analysis of your mobile traffic. Click-to-call allows you to embed a clickable phone number in your mobile ad. Obviously, the easier you make it for customers to connect to your business while their desire is fresh, the more likely they are to call, potentially increasing leads and sales. 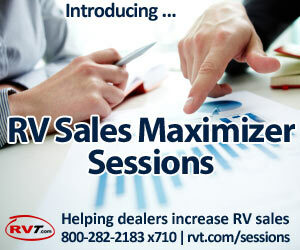 This is a feature that every RV dealer should activate immediately. Location-based ads target consumers searching for businesses in your area. Those that include offers are most effective. Location extensions that display your business phone and directions to your dealership are also valuable. Sitelinks direct users to specific information on your mobile site, allowing consumers to jump immediately to the information they want. Click-to-download ad formats that provide clickable downloads of dealership apps.